Nottingham Playhouse Roundabout has been established for nearly thirty five years. It is one of the leading young peoples’ theatre companies in Britain. ‘Wedding Story’ will be a play with music for young children (5 – 8 years old) and their parents. The production will be designed for flexible touring and will be available for Nottingham schools and Theatre festivals in the summer of 2007. It will be available for touring in the south-east regional schools and venues in the autumn and nationally in 2008. 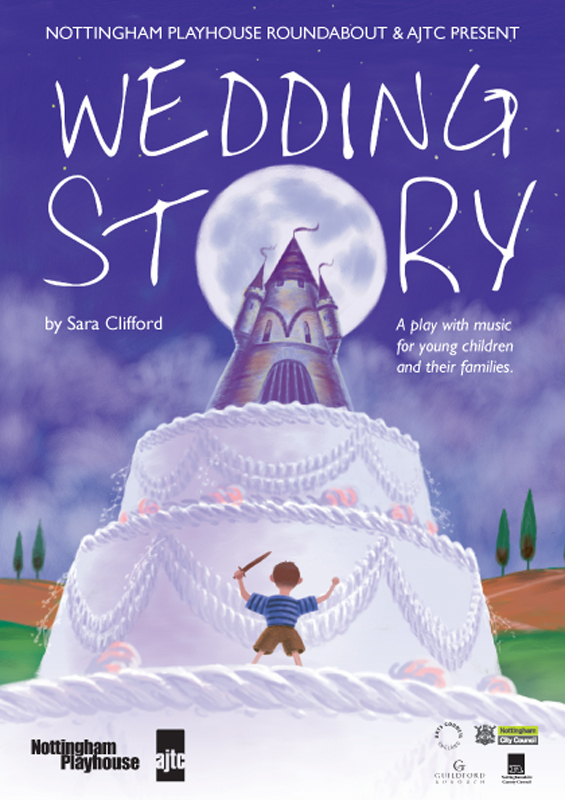 ‘Wedding Story’ will be the second co-production between and Nottingham Playhouse Roundabout. Their current production of The Gardener by Mike Kenny has toured to schools and venues throughout Britain including all the well known young peoples’ theatres. The Gardener featured for a month at The Unicorn Theatre in London in November 2006. Government statistics show that currently 47% of young children have to cope with major changes in their immediate family group. We want to explore the ways in which young children deal with this experience.